When looking for reliable skip hire in the Machynlleth and surrounding areas, look no further than DYFI Skip Hire. Providing all customers with an affordable high quality service, you will not find skip hire like ours elsewhere. 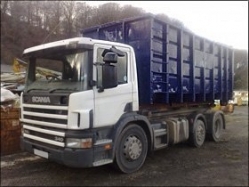 Using years of experience in the industry, we are your locally trusted experts when it comes to skip hire. We are proud of the services we provide and keep customer satisfaction high on our priorities so that all customers get the services they expect; at the standards they deserve. As well as skip hire throughout the Machynlleth, Aberystwyth and Dolgellau areas we provide waste collection services also. To find out more about skip hire in your local area, call us on 01654 702 025.